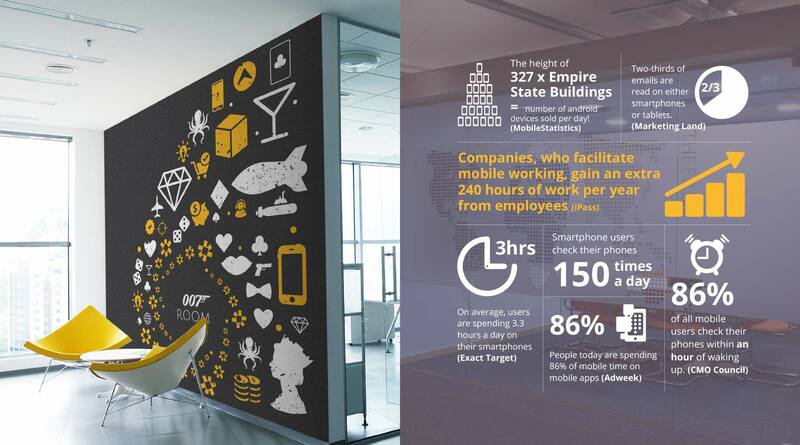 Intact Software office wall and infographics - Sweet! Intact Software Book Design, close up of page spread. Intact Software office wall and infographics. Sweet Design Studio is a communications and creative agency, specialising in branding, packaging and graphic design that can help you grow your brand.